Key to Digital Marketing Success. The goal? A lead-generating marketing system, tailored to your business, priced within your budget, designed to dramatically increase qualified traffic to your website and pay for itself in increased revenue. Your business is unique so your marketing strategy should also be unique. 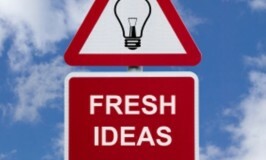 At Fresh Focus Group, every project begins with strategic planning. We take a fresh look at your challenges and opportunities. We find out what you’ve been doing right and where we can help you improve. And only then do we develop a comprehensive marketing plan with only the tools you need, customized to your business and your target audience. If someone else wants to pop you into a canned SEO program, just run. There are no one-size-fits-all solutions for new sales leads. One of the huge advantages of our multi-channel internet marketing system is the way we customize it for your business. We develop each tool to be useful on it’s own, but in combination with others it can have an exponential effect on your sales. So we can dramatically improve the number of qualified leads to your website. 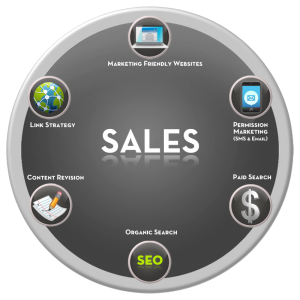 We systematically address your target markets with cutting edge SEO and marketing tools that speak to your customers on every platform and at every point in the sales cycle. And keeps them engaged. You just might have to hire more sales staff. We start with your marketing website. We build it right, using WordPress and mobile-responsive themes, with features unique to your business. Or we tweak what you’ve already got, and strengthen it for today’s discriminating consumer. Then we optimize your website and your entire online footprint for search using every SEO best practice at our disposal, to maximize both your website’s usability for your target customers and its searchability on the web. We may create a couple new keyword-targeted articles or videos on your website, promote them on social media and in emails to your list, and link those tools back to your re-energized website. Ideally, recipients of your remarkable content also share it with others. Google takes note of the new content on your website and the attention it gathers on social media as well as the resulting website traffic increase, and your ranking will generally improve for that topic. Better ranking leads to even more traffic. More traffic generates more leads. And you know what to do with leads. Each month we monitor progress and adjust the next month’s campaigns. And we repeat this month after month, developing an ROI that essentially allows our service to pay for itself, often many times over. Impressive marketing tools are one of the ways we’re different. At Fresh Focus Group, we customize the right tools to effectively meet your goals. Would you like your website to function as a powerful lead generator? Would you like to know exactly which search terms your next customers are using to find you? Where you stand compared to your competitors? Which keyword phrases you should be adding to your content? Would you like to see exactly when your sales prospect opens your corporate email? And then call them to complete the sale? Would you like to get more qualified leads to your website simply by making it mobile-friendly? And would you like to finally develop a strategy for all that time-consuming social media? Our sophisticated multi-channel internet marketing strategy and systems give you a strategic advantage over your competition. Our attention to detail and monthly tactical improvements keep you there. Give us a call today and let’s talk. We’ll perform a free SEO Audit and deliver it with a low-key discussion about your marketing needs.